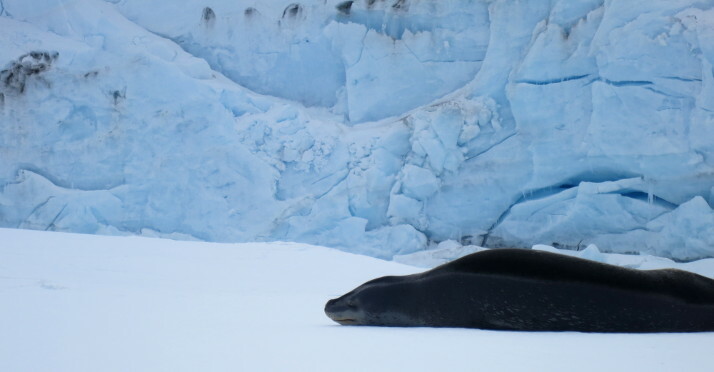 With two days left on the schedule, we had plenty of time to explore the South Shetland Islands. Our first stop was at the horse-shoe shaped Deception Island, a sleeping volcano with an opening on the side. Whalers were using it as their base when this activity was at its peak but an eruption a few decades ago stopped any permanent human presence. 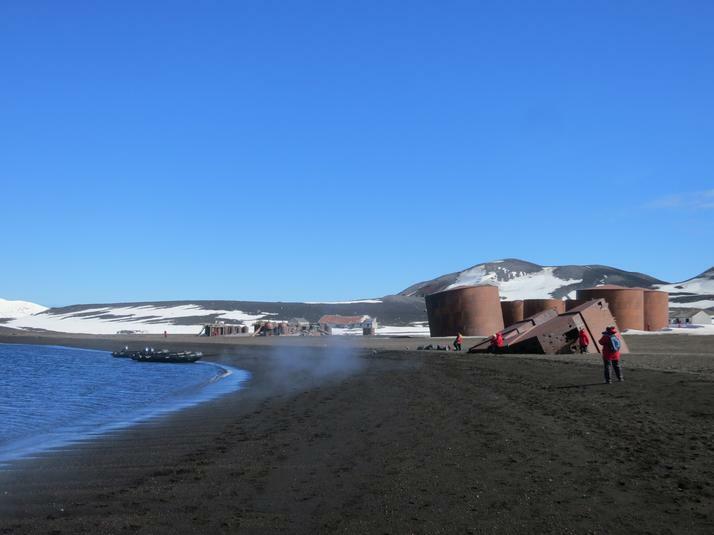 Deception Island is now a popular cruise ship stop where the famous polar plunge takes place. After a walk to the side of the crater and back, swimmers gathered on the beach and ran in the near freezing water. Because of the abrupt slop and the cold water, it feels like you’re sinking really fast. The staff is waiting with towels and a shot of Rum to warm you up! The next two landings were spent watching wildlife, penguins and seals mostly. Penguins builds path in the snow which the staff called “Penguins Highways” and at one of the stops there was hundreds of them marching from the shore to their nest, a great sight. After spending our last moments on the continent sunbathing on the (pebble) beach, everybody got back on the ship for some evening activities and a small party. We started our way back through the Drake Passage hoping it would be as smooth as on the first trip.